£50 non-refundable booking deposit secures dates to you. The balance is due 6 weeks prior to your arrival date. 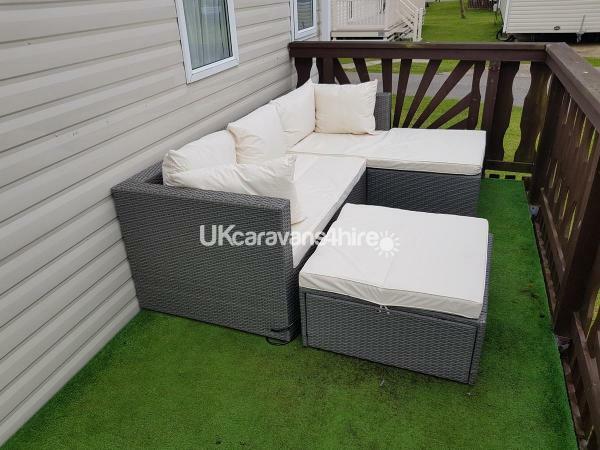 A further £100 refundable breakage/damage deposits is added to total cost of your holiday and will be returned within 14 days of your departure provided that no items have been damaged or removed from the caravan and that the interior fixtures and fittings including bedding and carpets are unmarked. Please be specific about the dates you require and the number of people staying and ensure you supply a contact telephone number. Please ensure you add Bookings@familyholidaycaravan.co.uk to your senders safe list. 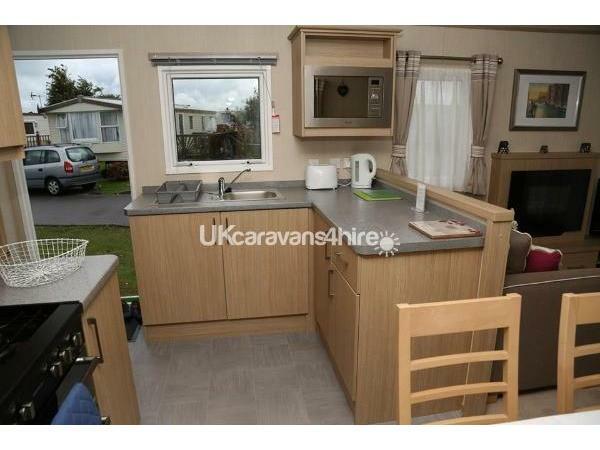 A 3 bedroom caravan on a great corner plot of the West Sands Park giving loads of space inside and outside for the whole family. Situated on Round Piece Lane which is a quiet part of the West Sands holiday park the caravan has easy access and it's own parking space. Open a bottle of bubbly sitting on the veranda watching the sun go down. Raining outside? There is a Blueray player, SKY + HD, 40inch Smart HD TV in the living area, pop on a DVD, or bring a USB Stick with your own movies or tune in to one of many digital TV Channels and relax. The van has 2 Small twin bed bedroom's, both with storage and central heating. The second room boasts a 22inch HD TV with Freeview. The Master bedroom comprises: Double bed, en-suite toilet, dressing area, wardrobe, central heating & 32inch HD TV with bult in DVD player and Freeview. The West Sands Park is by far the most family orientated area of the Bunn Leisure site. The site features excellent entertainment with plenty to keep a family of all ages engaged. On-site facilities include a swimming pool, 1st Class entertainment acts and a local beach offering lovely sea views. Selsey is a key area in West Sussex within easy reach of many other local attractions and places to visit. Check out Bunn Leisure's entertaiment Here Select the month you're going to be staying for a idea of what will be on * All entertainment requires entertainment passes available for an additional cost, entertainment is suppled by Bunn Leisure and we do not have any control over content or availability. Bookings are prefered to be taken , Monday to Friday (4 nights), Friday to Monday (3 nights) or Saturday to Saturday (7 nights). but we are flexible where we can be minimum Stay 3 nights apply. We are always cheaper than if you were to book through Bunn Leisure directly, we compare our prices to theirs on every quote and inform you of your potential saving by booking with us. Additional Info: Award Winning Entertainment delivered from 2 separate entertainment complexes, 1: The Viking & 2: The Embassy (West Sands). Fun Fair, Go Karts and Crazy Golf (additional cost applies) Café and various restaurants and food huts. 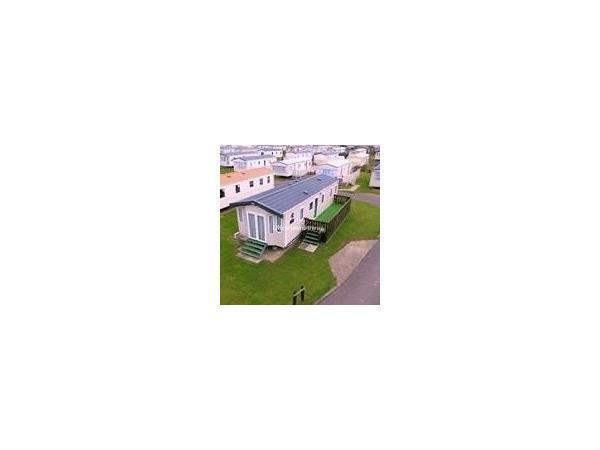 Cannot fault our experience here, thorough and quick response times, great clean caravan and great location, 5 minute walk to fairground or the entertainment centre. The bonus for us was the orientation of the caravan. It was shielded from the wind and faced the afternoon and evening sun so we could actually sunbathe on the terrace in April! Thoroughly enjoyed our stay here. Caravan was very comfortable, clean and well equipped. Definitely a plus having a TV in the second bedroom for the "older child". It is also in a quiet location but only a few minutes walk to reception and shop. Good idea having two different togs for duvets. Would definitely book again.